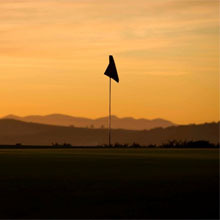 Located on the Chanonry Peninsula in the ''Black Isle' this Scottish links golf course enjoys breathtaking views over the Moray Firth, close to the city of Inverness. Established in 1888 the course was redesigned by the five time Open Champion, James Braid in 1932. There is documentart evidence of golf being played over 'Chanonry; which is now called Fortrose, dating back to 1702. It was contained in a letter from Mr George McKenzie of Balconie, a cousin of the Earl of Seaforth and provost of Fortrose at that time. Playing on one of the finest links golf course in Scotland is a must for your golfing calendar, especially as we are so close to other distinguished links in the area. The course has received accolades such as 'a gem of a course by the sea' and is open every day of the year. They welcome golfers from all over the world to play at this fantastic course.